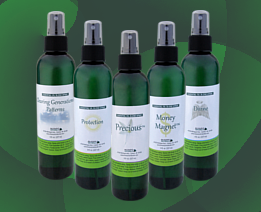 Bio Source Naturals has over 100 therapeutic quality, pure essential oils, pure essential oil blends, essential oil sprays with gem elixirs, lotions made with flower essences, aromatherapy, massage oils, edible massage oils, hydrosols, wide variety of carrier oils, perfume oils in a natural oil base, and essential oil blend lotions. 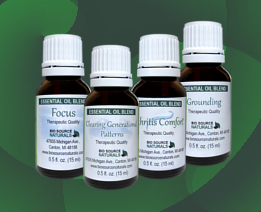 We provide plant oils suitable for therapeutic purposes sourced from all over the world. 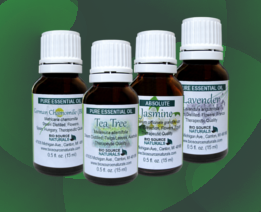 Discover and buy our essential oils, essential oil blends, and other healing oils and lotions made with flower essences though our online store. Review our aromatherapy recommendations from our naturopath. Enjoy free Emotional Freedom Technique EFT Tapping scripts paired with our essential oil blends. Use the charts below for suggestions on how to help yourself naturally with aromatherapy, therapeutic essential oils, essential oil blends, and our unique, body-mind lotions. Bio Source Naturals Body Mind Lotions are a combination of pure therapeutic essential oils, flower essences, and gem elixirs which are color charged and body mapped to realign energy in chakras and meridians. Aromatherapy - Pure Essential Oils for Emotions | What can I use to help me naturally with my emotions? 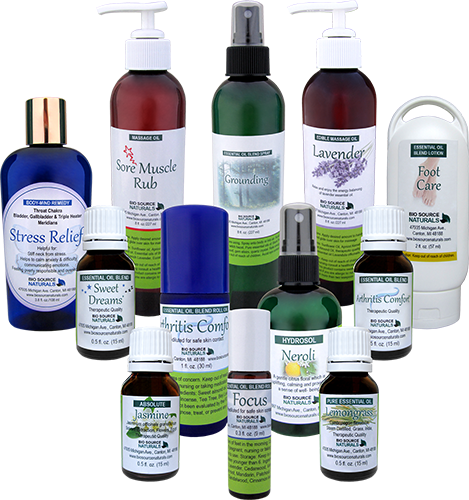 Aromatherapy - Pure Essential Oils for Physical Issues | What can I use to help me naturally with my body?